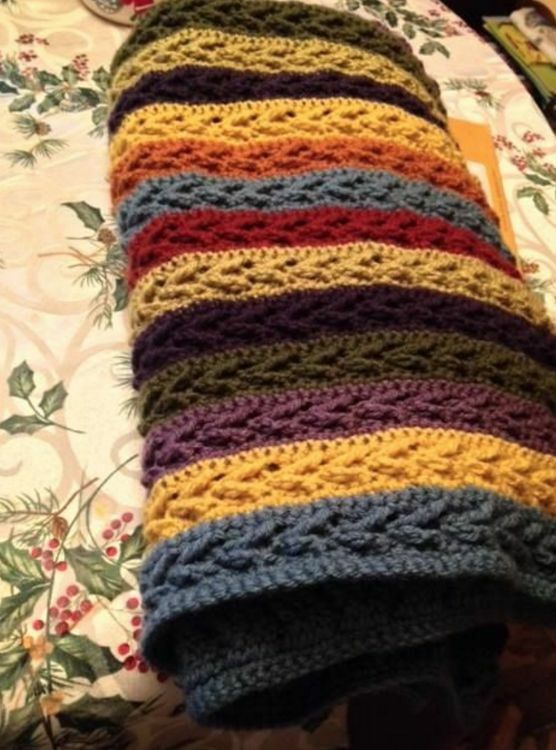 Anyone who has picked up a crochet hook and yarn will tell you that finally learning how to get an even chain and set of single crochets and/or double crochets is absolutely thrilling. 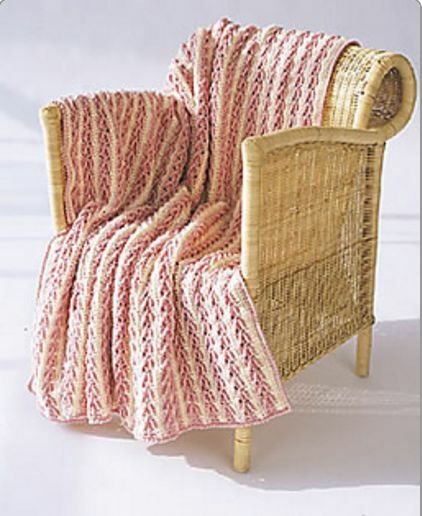 Yarn can be hard to work with, and manipulating a hook through the yarn and getting the creation to look like something other than what your 5-year-old was playing with takes some practice. After the thrill of learning the basics wears off, though, you will begin to crave more complex designs and textures. Learning something new can be terrifying, though, and reading a pattern or chart or set of instructions can make you feel like your brain just got tied in a knot! Take heart, crocheters, the arrow stitch is a simple stitch comprised of the chain, double crochets and treble crochets that gives you great texture and the look of complexity. 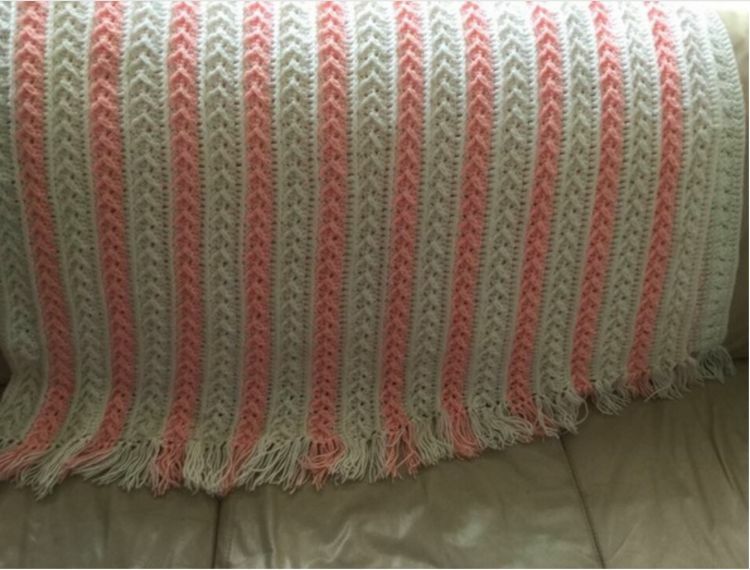 It's perfect for making afghans and blankets and lends itself really well to changing colors, as the pattern from favecrafts makes clear. On Pinterest you'll see that the arrow stitch is also great for making bright-colored scarves, hats and beanies. 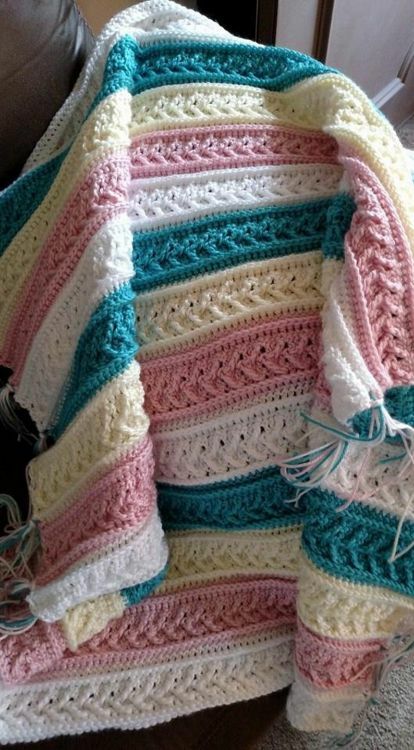 Favecrafts has free patterns for several different afghans for those who have the desire to try their hand at this stitch but don't want to purchase expensive books and patterns. The Crochet Crowd understands that not everyone does well trying to decipher a set of written crochet instructions, so they recorded the step-by-step tutorial below. Across the top of the video, the written instructions still scroll by, so their video is great for both types of learners. 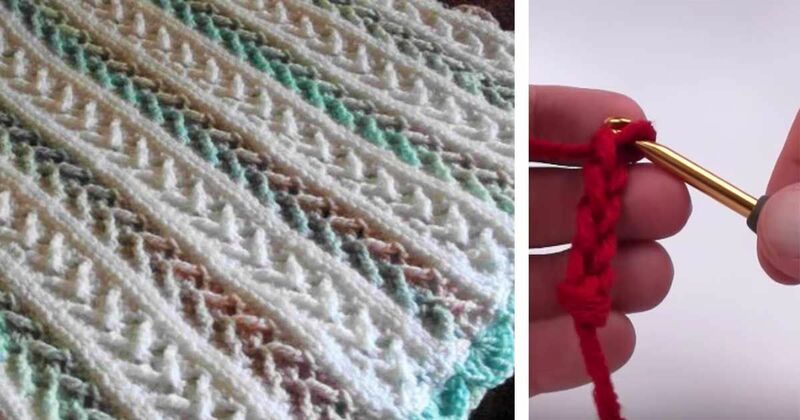 With their help, you can be incorporating this great stitch into your crochet masterpieces.